Are sustainable home designs even a consideration with the buying public? If you were given a chance to change the way your home looks and functions, what would your considerations be? Many homeowners are no longer solely concerned with what their home looks like but also how it can be energy-efficient, beneficial, and friendly to the environment. These are the exact attributes designed into the homes built by contestants in the Solar Decathlon, only these houses run solely on solar. The Solar Decathlon is a competition founded by the U.S. Department of Energy in 2002 that challenges collegiate teams from different universities to “design, build, and operate solar-powered houses that are cost-effective, energy-efficient, and attractive.” It aims to educate and disseminate information about renewable energies and technologies. Produce as much or more energy than it consumes. The Solar Decathlon has even found itself in the other side of the globe wherein European universities can participate. 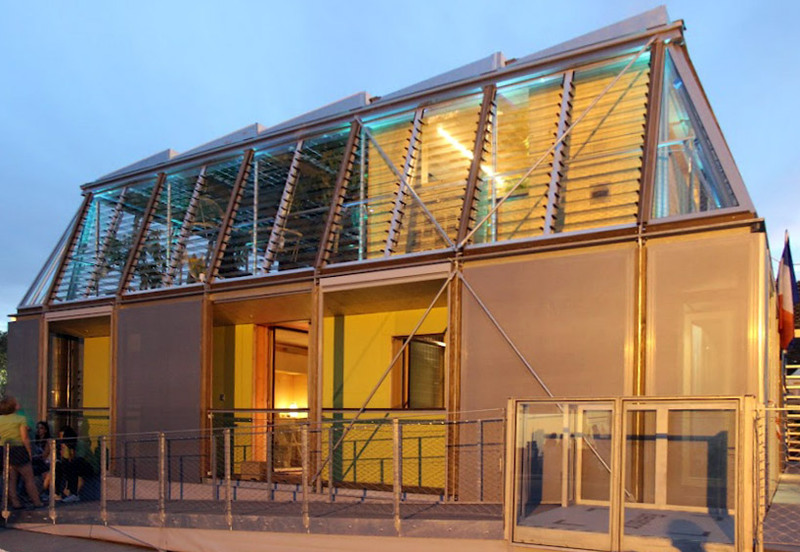 Both the U.S. and European Solar Decathlons are held biennially, alternating locations. The 2012 Solar Decathlon Europe winner was the Canopea House by French team, Rhone Alpes. The house tackles the problems of creating more living space in urban areas especially when there is no longer space to expand horizontally and how to maximize solar power in a dense environment. The winning house’s design was inspired by the canopy, which are the upper branches or foliage of a tree. It captures 95% of solar energy and 30% of precipitation. The team built a two-story structure, the living on the bottom and solar greenhouse on the top. The whole structure will have several floors and have solar panels installed on its whole façade to capture light and convert it to electricity. This years winner reminds us that sustainable home designs should not be one-dimensional. Sustainability doesn't just mean energy efficient. Here we have a design that can also bring agriculture and nature into the home environment, with a greenhouse integrated into the overall energy balance of the home. Some of the houses are sold to raise funds for future teams while the others are used for research and are on public display in their respective Universities. Despite that, some of the houses receive funding and support from private institutions and the government to fully implement the house. Throughout the competition, the youth are exposed to the many possibilities of living in a home completely powered by nature. Homes with innovative yet energy-efficient designs that help its homeowners save money through reduced operating costs and increased return on their investment are surely very attractive homes. Soon, the future of designing homes might see Mother Nature as a very important aspect. This year’s Solar Decathlon will take place at Orange County Great Park in Irvine, California on October 3 – 13, 2013. The whole event will be open to the public and free of charge to give visitors the opportunity to tour the houses, learn about the benefits of renewables and sustainable home designs, and to how improve their own homes. It is an event homeowners and professionals in architecture, renewable energy and home building should attend.